From the moment we entered Beatrice’s dressing room, it was obvious that she was obsessed with herself. The enormous amount of mirrors and self-indulgent items really gave us an instant picture of the personality of our subject, even before the game began. The sense of mystery that pervaded the room was all we needed to peak our interest greatly. 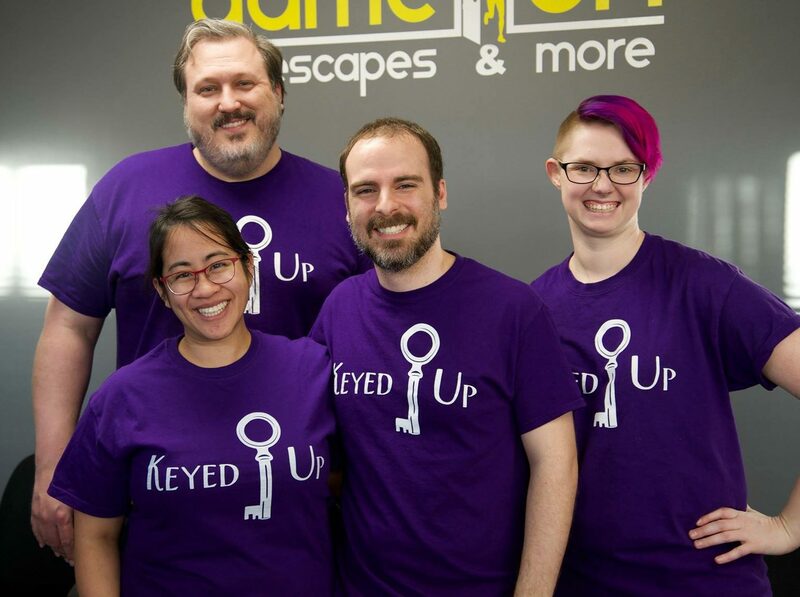 This was a highly different experience than your usual puzzling fare, telling a moody tale of depression, aging, and dependence that I’d never expected an escape room to pull off, but Escape Room RVA pulls it off naturally and with style. The transitions between stages of the rooms were all highly surprising, at times jarring, and launched the narrative forward in directions we never saw coming. Alex, again, was an awesome game master, interacting with us and providing a great tone to the room as we progressed. Some really original interactions were included, combining a cliché trope with a truly fantastic clue to make a puzzle that would’ve been forgettable in any other room and make it memorable. There was another heavily interactive portion of the room that used a technical prop to augment our reality in an astounding way. One particular puzzle could have used a little more cluing, as it made sense once we realized the answer, but came across as a slightly damaged prop. This particular interaction feels as if it was next to unsolvable without a hint, due to it’s nature, but I could be wrong here. There was a particular puzzle as well that had some misleading language within it’s clue, leading us to believe we did not have enough to solve the puzzle when in actuality, we had almost solved it already. This puzzle also involved a fairly drawn out process that ceased to be interesting before it was over. The twists and turns of Vanity are great fun, and while there are a few blemishes here and there, (beyond those Beatrice tries to hide,) it is a solid adventure that touches on deep themes you don’t usually experience within an escape room. I think this room is best for mature players, as younger ones may not fully understand the dark storyline inside, but I do still recommend giving it a shot. Investigate Beatrice’s descent into madness here!